“a great place” – a series of engaging spaces for consideration…and perhaps inspiration for the people who build places everyday. What started in the 1930s as a rail freight line lifted 30 feet over New York’s Manhattan known as the High Line, became a public eyesore in the mid-1990’s. A story that could have sadly ended in demolition has instead become an inspiring tale of land re-use, successful economic-development and a great elevated public park. 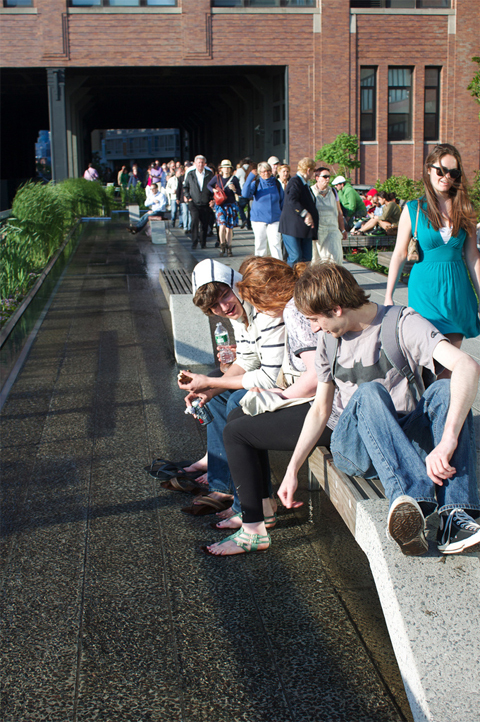 Today, the second segment of The High Line Park opened to the public , doubling the park’s length to 1 mile. 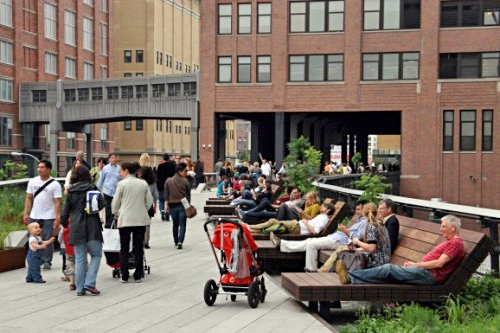 An amazing natural and artistic urban journey amongst the buildings of the West Side, The High Line area now includes deluxe apartment buildings whose glass walls press up against the park and hundreds of art galleries, restaurants and boutiques which flourish around it. Key Thought: The High Line gives New Yorkers a respite to explore a “natural” path- literally above the turmoil of their city streets. 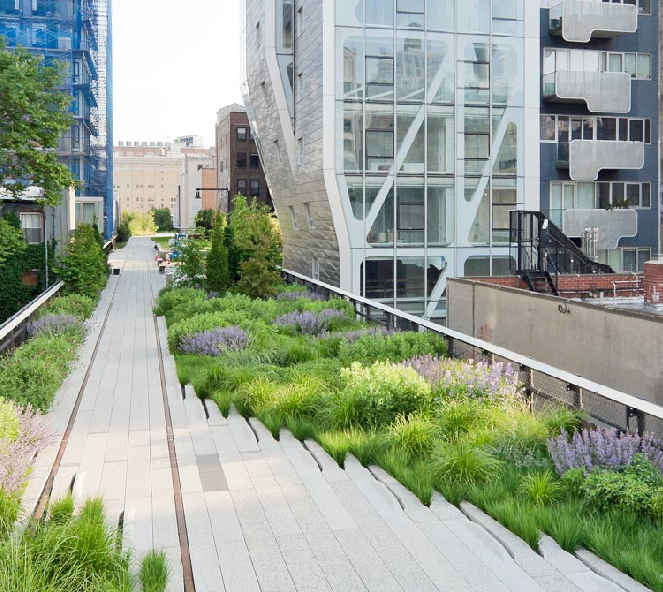 “High Line as a public park revitalized a swath of the city and generated $2 billion in private investment surrounding the park” according to Mayor Michael Bloomberg. – 8,000 construction jobs created for District projects. – Redevelopment has added about 12,000 area jobs. 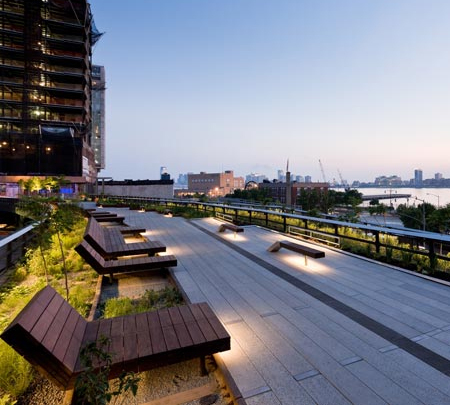 The future third segment of The High Line Park will mark the park’s completion. Congratulations to the visionary & determined people who made this great place a reality – Friends of High Line , the New York City staff, and the design team of James Corner Field Operations & Diller Scofidio + Renfro. This is the second “a great place” series post, to learn more – click here. ⟵great places and brands connect emotionally. meet replay.